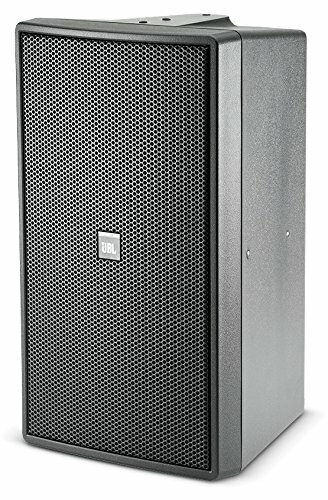 The JBL Control 29AV-1 provides improved voicing for extremely flat, high fidelity performance, extended bandwidth and well-controlled defined coverage from a compact loudspeaker. Extended bandwidth, extremely smooth frequency response. 110 x 85 HF coverage, rotatable horn. 110 W transformer for 70 V or 100 V lines, with 8 W thru. SonicGuard overload protection. 200 mm (8 in) Kevlar cone woofer, 25 mm (1 in) titanium diaphragm compression driver. Includes InvisiBall mounting hardware, plus ten 6 mm attachment points for suspension and optional U-bracket. Sealed input panel cover and screwdown input terminals.